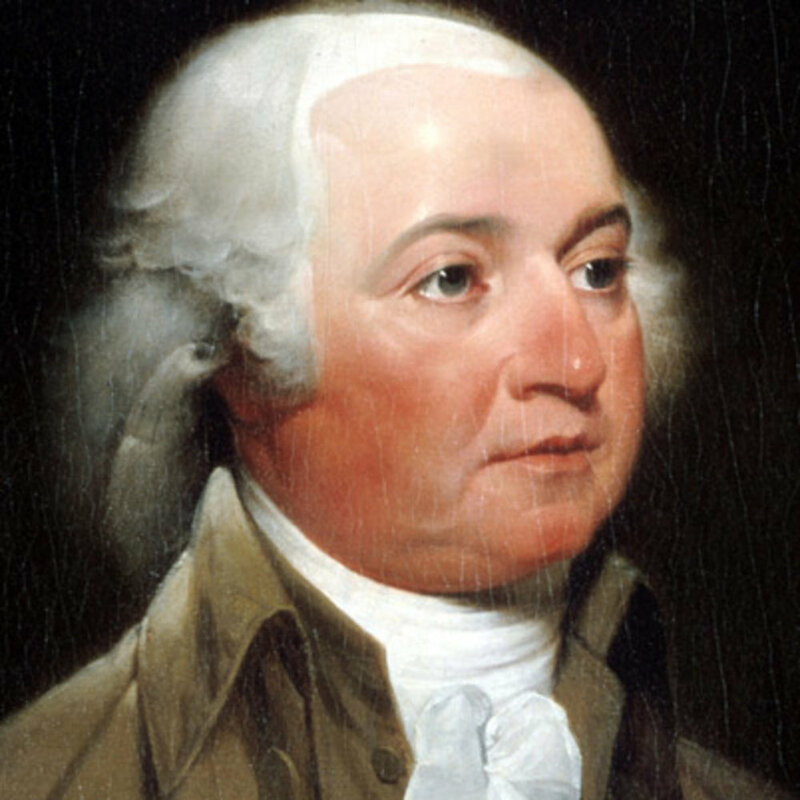 We now move to John Adams, our second President. Throughout his life, he exhibited a profound respect for the Bible, and references it frequently throughout his writings. Suppose a nation in some distant Region, should take the Bible for their only law Book, and every member should regulate his conduct by the precepts there exhibited. Every member would be obliged in Conscience to temperance and frugality and industry, to justice and kindness and Charity towards his fellow men, and to Piety and Love, and reverence towards almighty God. In this Commonwealth, no man would impair his health by Gluttony, drunkenness, or Lust—no man would sacrifice his most precious time to cards, or any other trifling and mean amusement—no man would steal or lie or any way defraud his neighbor, but would live in peace and good will with all men—no man would blaspheme his maker or profane his Worship, but a rational and manly, a sincere and unaffected Piety and devotion, would reign in all hearts. What a Utopia, what a Paradise would this region be. A Man who can read, will find in his Bible, in the common sermon Books that common People have by them and even in the Almanac and News Papers, Rules and observations, that will enlarge his Range of Thought, and enable him the better to judge who has and who has not that Integrity of Heart, and that Compass of Knowledge and Understanding, which form the Statesman. The Bible contains the most profound Philosophy, the most perfect Morality, and the most refined Policy, that ever was conceived upon Earth. It is the most Republican Book in the World, and therefore I will still revere it. The Curses against Fornication and Adultery and the prohibition of every Wanton glance or libidinous ogle at a Woman, I believe to be the only System that ever did or ever will preserve a Republic in the World. I have examined all, as well as my narrow Sphere, my Streightened [sic] means and my busy Life would allow me; and the result is, that the Bible is the best book in the World. It contains more of my little Philosophy than all the Libraries I have Seen: and Such Parts of it as I cannot reconcile to my little Philosophy I postpone for future Investigation. The Bible is the best Book in the World, and for that reason among a thousand others, I want to know more about it. John Adams, From the Diary (February 22, 1756). John Adams, From the Diary (August 1, 1761). John Adams, To Benjamin Rush (February 2, 1807). John Adams, To Thomas Jefferson (December 25, 1813). John Adams, To Francois Adriaan van der Kemp (December 26, 1813).